If you've known me, or have been reading my blog, for any amount of time, you already know that I love the color purple. Seriously. Love it. You'll also know that I love nature. Seriously. Can't get enough of it. So, you can only imagine how I feel about purple things IN nature! Oh yeah. 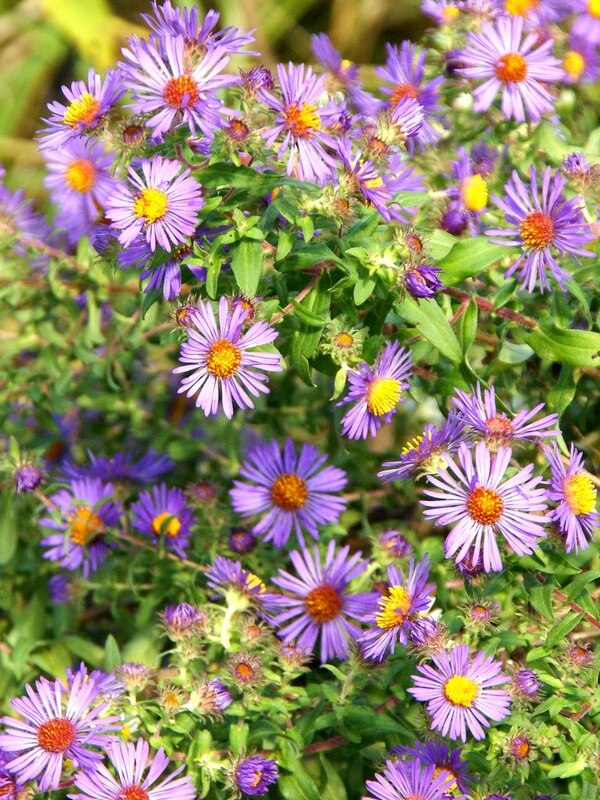 Purple wildflowers (more specifically Asters) = LOVE. Just sayin'. Purple is a wonderful colour in gardens, that's for sure. I love the asters that bloom this time of year. You captured nature and purple beautifully! This is a really lovely shot Misty! very pretty! purple flowers always get my attention. I want to find some of these purple asters. Mine seem to be all white. ;) Gorgeous! I love your enthusiasm about Nature Misty. I'm like that too, can get get the biggest kick out of the tiniest little thing. Your flowers are gorgeous.